On May 8, the U.S Treasury Department issued guidance on how it will implement President Trump’s decision to withdraw from the Iran nuclear deal and reimpose sanctions. “Sanctions will be reimposed subject to certain 90 day and 180 day wind-down periods,” explained Secretary Steven Mnuchin in a statement. “At the conclusion of the wind-down periods, the applicable sanctions will come back into full effect. This includes actions under both our primary and secondary sanctions authorities.” The sanctions target many critical sectors of Iran’s economy, such as oil exports, its shipping sector, transactions with the Central Bank, and the gold trade. The following is a statement from Secretary Steven Mnuchin and guidance on the re-imposition of sanctions. 1.2. Which sanctions will be re-imposed after the 90-day wind-down period ending on August 6, 2018? vi. Sanctions on Iran’s automotive sector. iii. Activities undertaken pursuant to General License I relating to contingent contracts for activities eligible for authorization under the JCPOA SLP. 1.3. Which sanctions will be re-imposed after the 180-day wind-down period ending on November 4, 2018? In addition, effective November 5, 2018, the U.S. government will revoke the authorization for U.S.-owned or -controlled foreign entities to wind down certain activities with the Government of Iran or persons subject to the jurisdiction of the Government of Iran that were previously authorized pursuant to General License H. (See FAQ 4.4. below). Furthermore, no later than November 5, 2018, the U.S. government will re-impose, as appropriate, the sanctions that applied to persons removed from the List of Specially Designated Nationals and Blocked Persons (SDN List) and/or other lists maintained by the U.S. government on January 16, 2016. 1.4. Are the sanctions lifted via Executive Order 13716 reinstated as of May 8, 2018? 1.5. Do the FAQs and Guidance posted on OFAC’s website relating to the JCPOA sanctions relief remain in effect? 2.1. How long is the wind-down period and what types of activities are allowed? The U.S. government has a past practice of working with U.S. or third-country companies to minimize the impact of sanctions on the legitimate activities of those parties undertaken prior to the imposition of sanctions. Consistent with this guidance from the President, the Department of State has revoked certain statutory waivers issued to implement the JCPOA sanctions relief, issued the necessary sanctions waivers to provide for an appropriate wind-down period, and plans to take appropriate action to keep such waivers in place for the duration of the relevant wind-down period, i.e., until August 6, 2018, or November 4, 2018, depending on the activity. Non-U.S., non-Iranian persons are advised to use these time periods to winddown their activities with or involving Iran that will become sanctionable at the end of the applicable wind-down period. In the event that a non-U.S, non-Iranian person is owed payment after the conclusion of the wind-down period on August 6, 2018, or November 4, 2018, as applicable, for goods or services fully provided or delivered to an Iranian counterparty prior to August 6, 2018, or November 4, 2018, as applicable, pursuant to a written contract or written agreement entered into prior to May 8, 2018, and such activities were consistent with U.S. sanctions in effect at the time of delivery or provision, the U.S. government would allow the non U.S., non-Iranian person to receive payment for those goods or services according to the terms of the written contract or written agreement. Similarly, if a non-U.S., non-Iranian person is owed repayment after August 6, 2018, or November 4, 2018, as applicable, for loans or credits extended to an Iranian counterparty prior to the end of the 90-day or 180-day wind-down period, as applicable, provided that such loans or credits were extended pursuant to a written contract or written agreement entered into prior to May 8, 2018, and such activities were consistent with U.S. sanctions in effect at the time the loans or credits were extended, the U.S. government would allow the non-U.S., non-Iranian person to receive repayment of the related debt or obligation according to the terms of the written contract or written agreement. This allowance is designed for non-U.S., non-Iranian parties to be made whole for debts and obligations owed or due to them for goods or services fully provided or delivered or loans or credit extended to an Iranian party prior to the end of the 90-day or 180-day wind-down period, as applicable. Any payments would need to be consistent with U.S. sanctions, including that payments could not involve U.S. persons or the U.S. financial system, unless the transactions are exempt from regulation or authorized by OFAC. 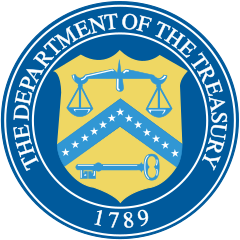 Consistent with the conditions described above, OFAC will take steps to allow U.S. persons and U.S.-owned or -controlled foreign entities until August 6, 2018, or November 4, 2018, as applicable, to wind down operations in or business involving Iran conducted pursuant to an OFAC authorization, and to receive payments according to the terms of the written contract or written agreement entered into prior to May 8, 2018, for goods or services fully provided or delivered pursuant to an OFAC authorization. As soon as administratively feasible, OFAC intends, via Federal Register publication, to replace General License H, General License I, and the general licenses set forth at 31 C.F.R. §§ 560.534 and 560.535 (relating to trade in Iranian-origin carpets and foodstuffs) with more narrowly scoped authorizations to allow U.S. persons and, as appropriate, U.S.-owned or -controlled foreign entities, to engage in all transactions ordinarily incident and necessary to wind down activities that were previously authorized pursuant to General License H, General License I, or the general licenses set forth at 31 C.F.R. §§ 560.534 and 560.535 and to receive payments according to the terms of the written contract or written agreement entered into prior to May 8, 2018, for goods or services fully provided or delivered pursuant to an OFAC authorization. The provision or delivery of additional goods or services and/or the extension of additional loans or credits to an Iranian counterparty after August 6, 2018, or November 4, 2018, as applicable, including pursuant to written contracts or written agreements entered into prior to May 8, 2018, may result in the imposition of U.S. sanctions unless such activities are exempt from regulation, authorized by OFAC, or otherwise not sanctionable. The U.S. government would evaluate matters falling outside the above parameters on a case-by-case basis. 2.2. Can I engage in new activity involving Iran if the activity will not extend beyond the end of the relevant wind-down period? 3.1. Will the persons that were placed on the List of Persons Identified as Blocked Solely Pursuant to Executive Order 13599 (E.O. 13599 List) on JCPOA Implementation Day (January 16, 2016) be put back on the SDN List? No later than November 5, 2018, OFAC expects to move persons identified as meeting the definition of the terms “Government of Iran” or “Iranian financial institution” from the List of Persons Blocked Solely Pursuant to E.O. 13599 (the “E.O. 13599 List”) to the SDN List. OFAC will not add these persons to the SDN List on May 8, 2018, to allow for the orderly wind down by non-U.S., non-Iranian persons of activities that had been undertaken prior to May 8, 2018, consistent with the U.S. sanctions relief provided for under the JCPOA involving persons on the E.O. 13599 List. The Government of Iran and Iranian financial institutions remain persons whose property and interests in property are blocked pursuant to E.O. 13599 and section 560.211 of the ITSR, and U.S. persons continue to be broadly prohibited from engaging in transactions or dealing with the Government of Iran and Iranian financial institutions. Beginning on November 5, 2018, activities with most persons moved from the E.O. 13599 List to the SDN List will be subject to secondary sanctions. Such persons will have a notation of “Additional Sanctions Information – Subject to Secondary Sanctions” in their SDN List entry. 3.2. As of May 8, 2018, do secondary sanctions attach to the persons that were removed from the SDN List and/or other OFAC sanctions lists on Implementation Day? No. However, no later than November 5, 2018, OFAC will re-impose, as appropriate, the sanctions that applied to persons removed from the SDN List and/or other lists maintained by OFAC on January 16, 2016. Depending on the authority or authorities pursuant to which these actions to re-list are taken, there may be secondary sanctions exposure for parties that engage in certain activities with these persons after their relisting. Persons subject to secondary sanctions will have a notation of “Additional Sanctions Information – Subject to Secondary Sanctions” in their SDN List entry. Transactions conducted during the wind-down periods involving persons removed from the SDN List on January 16, 2016 could be sanctionable to the extent they are outside the scope of the wind-down waivers issued by the State Department or involve persons on the SDN List or conduct described in JCPOA FAQ A.3.ii-iii. OFAC recommends that a person conducting activities in Iran or with Iranian persons during the wind-down periods exercise due diligence sufficient to ensure that it is not knowingly engaging in transactions with persons on the SDN List or in activities that would be sanctionable under authorities targeting Iran’s malign activities. 4.1. Will OFAC continue to consider license applications under the Statement of Licensing Policy for Activities Related to the Export or Re-export to Iran of Commercial Passenger Aircraft and Related Parts and Services (JCPOA SLP)? 4.2. Does OFAC anticipate revoking specific licenses issued under the JCPOA SLP? 4.3. Is General License I (GL I) still in effect? 4.4. Is General License H (GL H) still in effect during the wind-down period? 4.5. Can I continue to import Iranian-origin carpets and foodstuffs after May 8, 2018? 5.1. Will the United States resume efforts to reduce Iran’s crude oil sales? 5.2. How and when will significant reduction exceptions be determined? The State Department will evaluate and make determinations with respect to significant reduction exceptions provided for in section 1245(d)(4)(D) of the NDAA at the end of the 180-day wind-down period. Countries seeking such exceptions are advised to reduce their volume of crude oil purchases from Iran during this wind-down period. Consistent with past practice, the Secretary of State, in consultation with the Secretary of the Treasury, the Secretary of Energy, and the Director of National Intelligence, would make such determinations following a process of rigorous due diligence. For the initial set of such determinations, the State Department intends to consider relevant evidence in assessing each country’s efforts to reduce the volume of crude oil imported from Iran during the 180-day wind-down period, including the quantity and percentage of the reduction in purchases of Iranian crude oil, the termination of contracts for future delivery of Iranian crude oil, and other actions that demonstrate a commitment to decrease substantially such purchases. The State Department expects to engage in consultations with countries currently purchasing Iranian crude oil during the 180-day wind-down period. supplement or modify the statutory authorities, Executive orders, or regulations.